The project has been expanded to accept a Dallas / Maxim DS18B20 1-Wire temperature sensor. 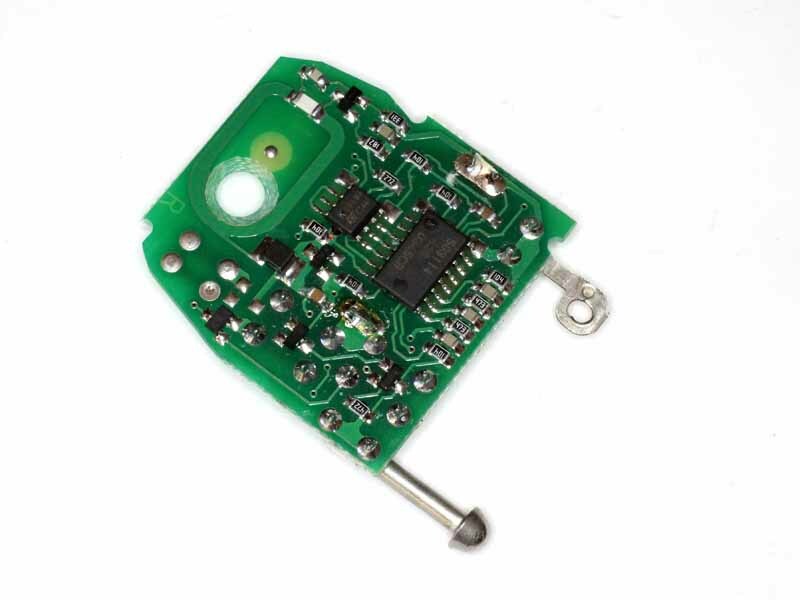 The DS18B20 produces a digital output (signed sixteenths of a degree) has a range of -85° to 125°, accuracy of about 0.5°, and costs a dollar for bare chips, a few dollars for an encapsulated probe. 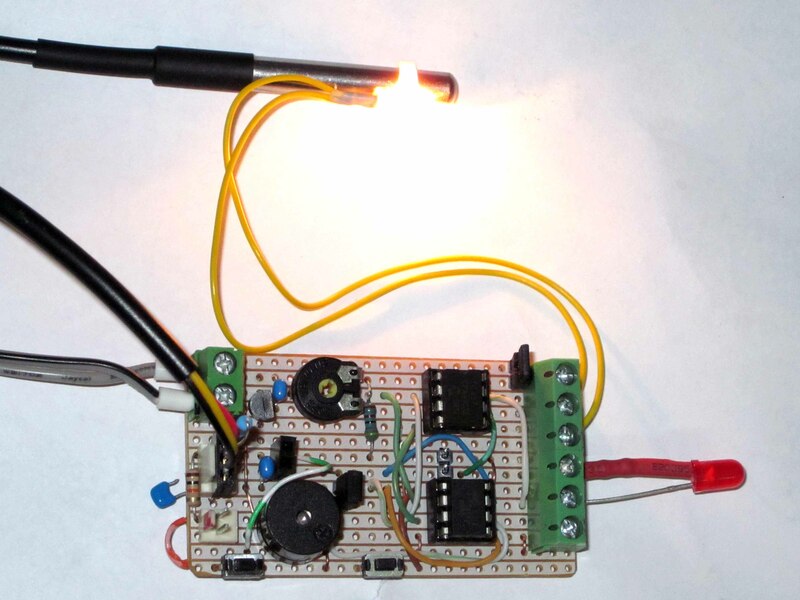 Above is a development prototype with the DS18B20 being heated by a small incandescent dial lamp to test function. 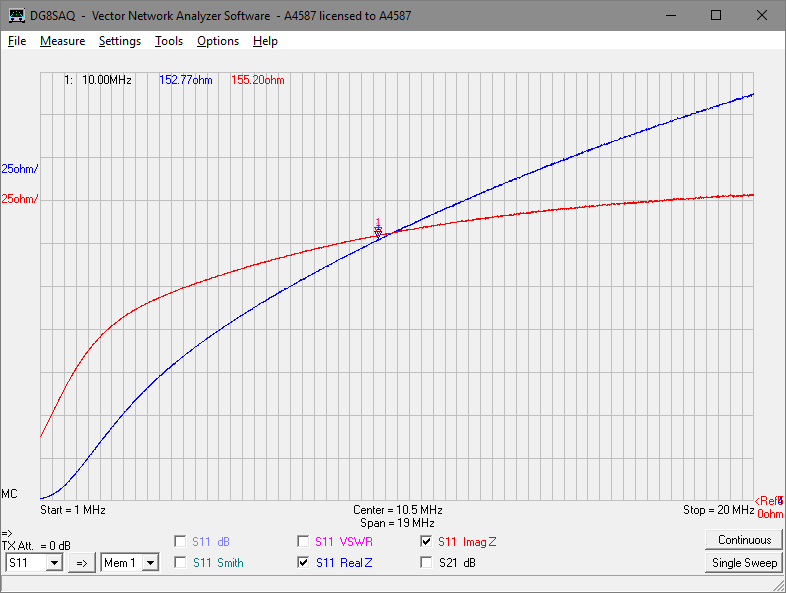 Announcement: ic9350 is updated to v1.03 to add support for the Codan 3040 automatic antenna. 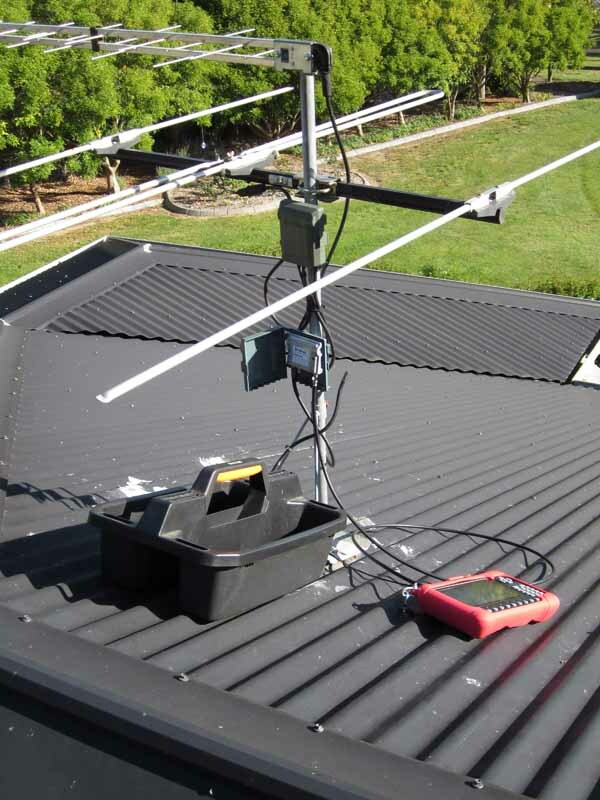 The ic9350 is protocol converter to permit use a Codan 9350 or 3040 automatic antenna with an Icom radio. Most Icom radios support the Icom AH-4 ATU, so the approach is to design a protocol converter that converts the protocol used by the 9350 and 3040 to the AH4 protocol to allow full integration with the Icom radios that support the AH-4. 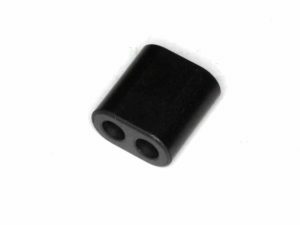 Binocular ferrite cores are widely used, but not so widely understood. Understanding inductors is an important first step to understanding transformers are they are coupled inductors. The usual use of them is to make a winding of several turns around the central limb. One turn is a pass through both sides of the core around the central limb. 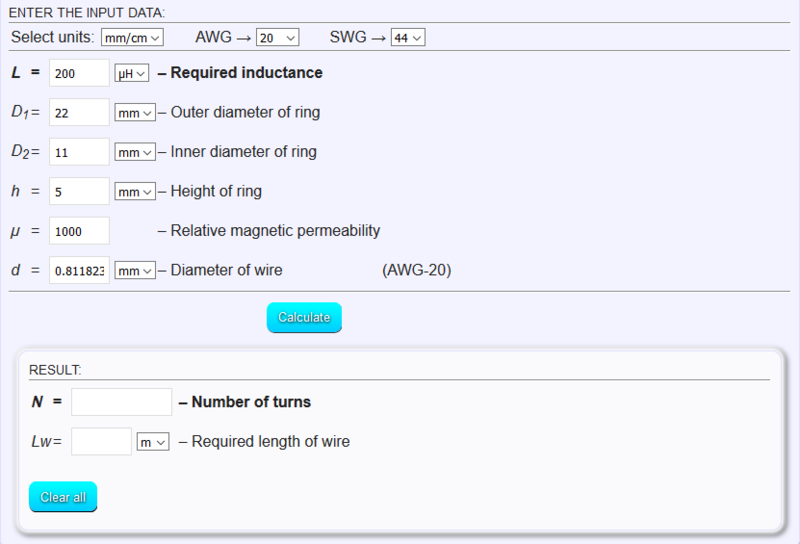 Figures given in datasheets for Al or impedance rely upon that meaning of one turn. A common assumption is that L=Al*n^2. Note that published Al values are obtained by measurement typically at 10kHz and are not directly applicable at radio frequencies for core materials where the permeability µ is significantly different to µi (most ferrites). Notwithstanding this fact, most inductance calculators assume µ is not frequency dependent. Above is a measurement of R,X of a BN43-202 core with a one turn winding at 10MHz. X is 59.57Ω implying inductance of 0.95µH (assuming a simple two component model which does not capture self resonance effects). Datasheets for this core specify Al as 2200nH for one turn, yet we measure 950nH at 10MHz… proof of problems in simple application of Al. Of course it is possible to make an inductor by passing a conductor once though one side of the binocular, a half turn if you like, but don’t let that label imply the impedance relative to a one turn winding. Above is a measurement of a BN43-202 core with a ‘half turn’ winding. If inductance followed the formula L=Al*n^2 and this was truly a half turn winding, we would expect the inductive reactance X ( 37.16Ω) to be one quarter or 25% of that of the single turn inductor (59.57Ω). Clearly it is not, it is 62%, the notion of a half turn or the formula or both have failed badly in this case. Well on the back of that failure, lets try 1.5t. Would we be brave or foolish to predict inductance will be 1.5^2 times that for one turn? Above is a measurement of a BN43-202 core with a ‘one and a half turn’ winding. If inductance followed the formula L=Al*n^2 and this was truly a half turn winding, we would expect the inductive reactance X ( 155.2Ω) to be 1.5^2 or 2.25 times that of the single turn inductor (59.57Ω). Clearly it is not, it is 2.60 times, the notion of a half turn or the formula or both have failed badly in this case. Now let us look at Q, the ratio of X/R. The Q of the half turn inductor is 1.051, the one turn inductor is 1.022, and the one and a half turn inductor is 1.016. The quite small decrease in Q may be entirely due to the lower self resonant frequency as more turns are added and may not indicate a significant increase in core loss because of ‘half turn effects’ as sometimes claimed. The error in conventional n^2 estimates of odd half turns becomes less significant with higher turns. The traditional formula L=Al*n^2 does not apply to ferrite binocular cores at radio frequencies for odd half turns, and does not account for variation of permeability with frequency or influence of self resonance. Understanding inductors is the first step to understanding transformers are they are coupled inductors. There is lots of advice from online experts on dealing with a flat battery in a Commodore VY key. The battery is not “user replaceable”, it is embedded inside a key shell that is glued together. In my case, the battery had leaked. The following procedure was for the exact key, there may be other key types used in VY production, and it is also possible that other models used a key with the same internals and could be repaired in the same way. NO WARRANTY: if you break it, you get to keep both parts! I am an experienced technician, it is inadvisable to attempt this unless you have the necessary competencies. Enough of the fear, let’s get on with it. The key uses an ordinary CR2032 lithium cell, though with tabs. 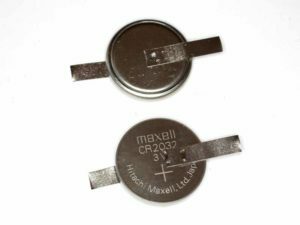 Above are two batteries which I prepared with 4mm tabs, but as it turned out, while the +ve one is 4mm the -ve tab is 3mm, I should have used 3mm. 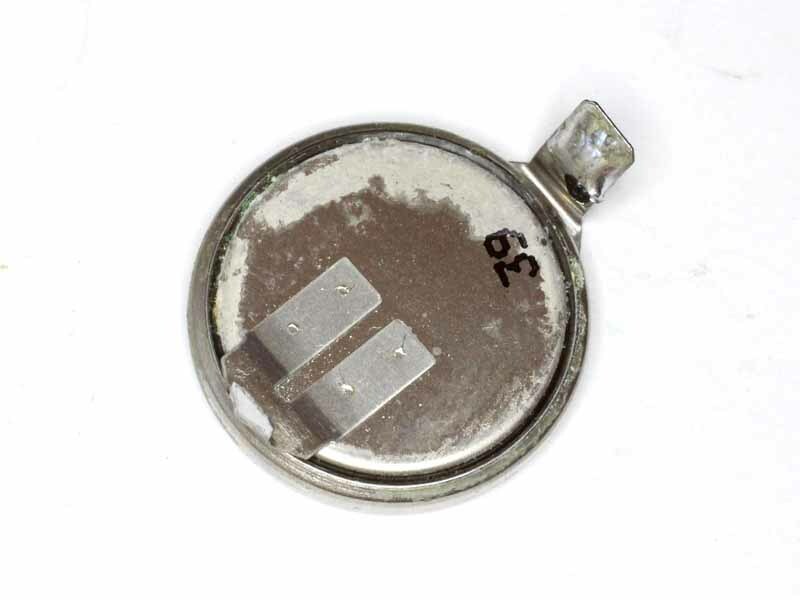 Holden’s answer to the problem of the $2 battery being flat / leaking is to buy a new key head and get it programmed for a total cost of around $150. 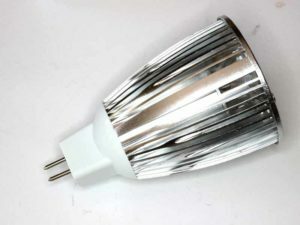 Pressed to replace working lighting with so-called ‘energy efficient’ lighting by well-meaning but narrow sighted conservationists, I recently replace about 25 CFL lamps with 12W LED MR16 lamps. They have started failing now after a couple of years of service, perhaps a few thousand hours of service. So much for the claims of 100,000 hours… clearly preposterous. In an effort to identify which of the switched mode power supply or LED assembly was the problem, I tried to substitute LEDs to different power supplied. That was not a good idea, lets look at the anatomy of your typical Chinese junk MR16 LED. 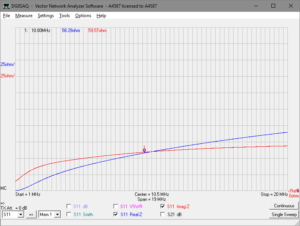 At TV upgrade I reported a change in TV antenna pointing to a different and distant transmitter, and gave a Spectrum Analyser plot at the main TV receiver. 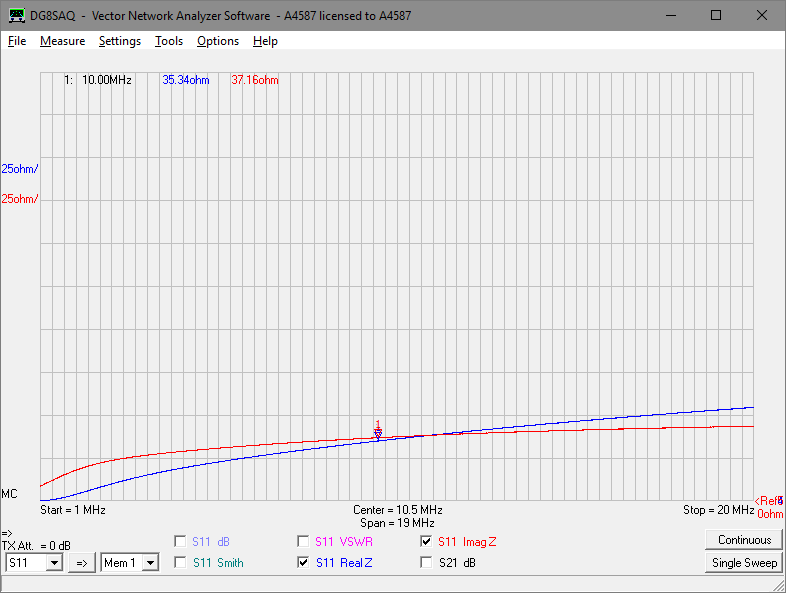 At that time, I adjusted the antenna accurately (within 1°) based on compass heading, but antennas are not perfect and two significant path obstructions may have bearing on best signal. I could have run up and down the ladder making small adjustments and observing amplitude or better, RF S/N on the Spectrum Analyser but that is tedious and suboptimal so I purchased a DVB signal analyser. 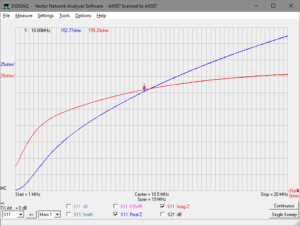 Importantly, a good DVB analyser gives measurement of not just signal strength, but carrier to noise (C/N) ratio (which is actually RF S/N), Bit Error Rate (BER) and Modulation Error Ratio (MER), the last two very important statistics in optimisation and validation and not available on an ordinary Spectrum Analyser. MER is calculated as the sum of the squares of the magnitudes of the ideal symbol vectors is divided by the sum of the squares of the magnitudes of the symbol error vectors. The result, expressed as a power ratio in dB, is defined as the Modulation Error Ratio (MER). MER is a good overall single statistic for quality, but BER is more sensitive to occasional errors, so they are both important. 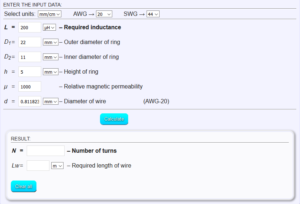 A recent online posting gave unequivocal recommendation for the Coil32 Inductance Calculator for application to a ferrite toroidal HF current balun. Always interested in these things, I tried to download it to evaluate it but there was rigmorol to create an account and aware that I have never downloaded a calculator that handled that specific problem at all well, I was reluctant. They do however have some online calculators that are supposed to use the same algorithms and methods as the downloadable software, so lets review the one for a toroidal ferrite inductor. The restack of TV channels, and then the allocation of spectrum immediately adjacent to a 4G mobile site that is 1km away and directly in line with Knights Hill (30km) caused me to rethink our TV source and switched to Mt Gibraltar (5km) to escape the 4G interference. For whatever reason, the signal from Mt Gibraltar has dropped in level and is intermittently very inconsistent. So, it is back to Knight’s Hill with a LTE filter to try to alleviate the interference from the in-line 4G site. 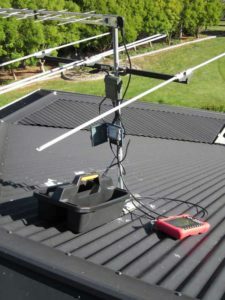 Above is the received channels at the TV set with a 6dB 75/50 pad inline. 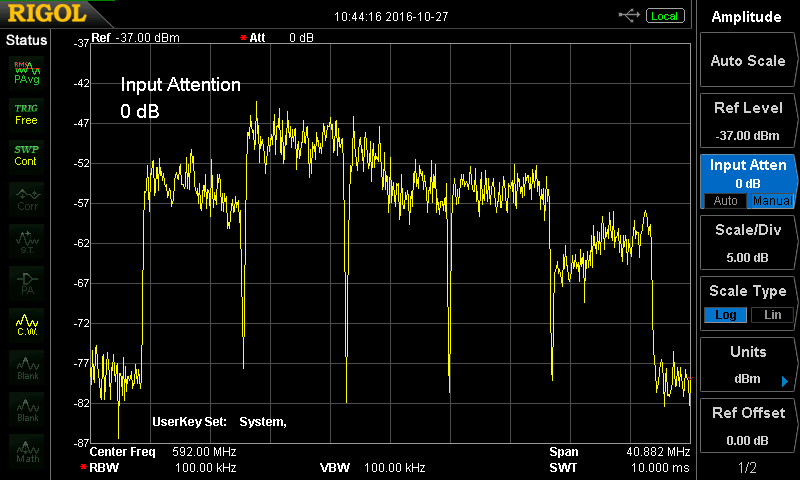 After the last restack, the five desired are now at least 90MHz lower than the edge of the 700MHz LTE (4G) allocation, and with an LTE filter in the masthead amplifier, it seems interference is not noticeable. 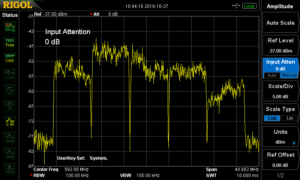 Signal quality reported by the TVs is consistently 100%. 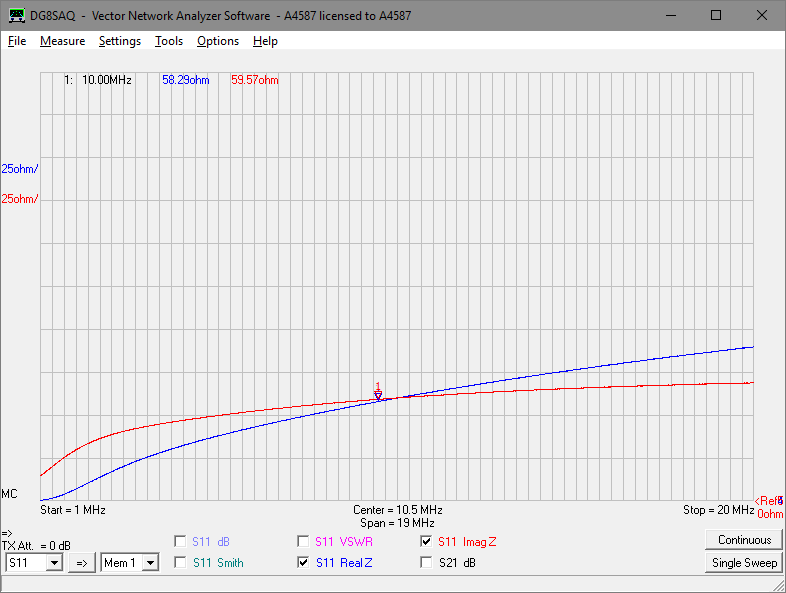 The spectrum analyser plot underestimates RF S/N due to the system noise floor. 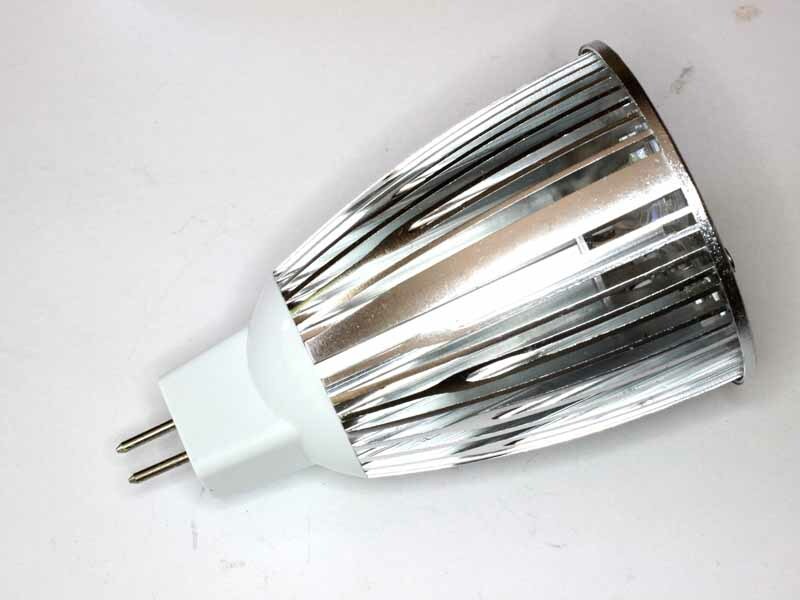 The channels used are 35 (ABC),36 (WIN),37 (CTC),38 (CBN),39 (SBS), all 250kW. Ch 35 and 39 are on the BA tower, the others on the WIN tower. If only there was something worth watching! We often use diode detectors at microamp currents, and the question arises as to the type of diode best suited to sensitive detectors. 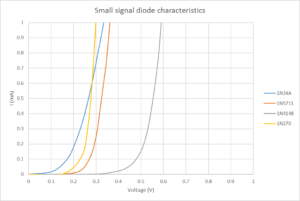 Setting aside zero bias Schottky diodes which are a topic in themselves, the choice is typically between commonly available germanium, silicon and Schottky signal diodes. 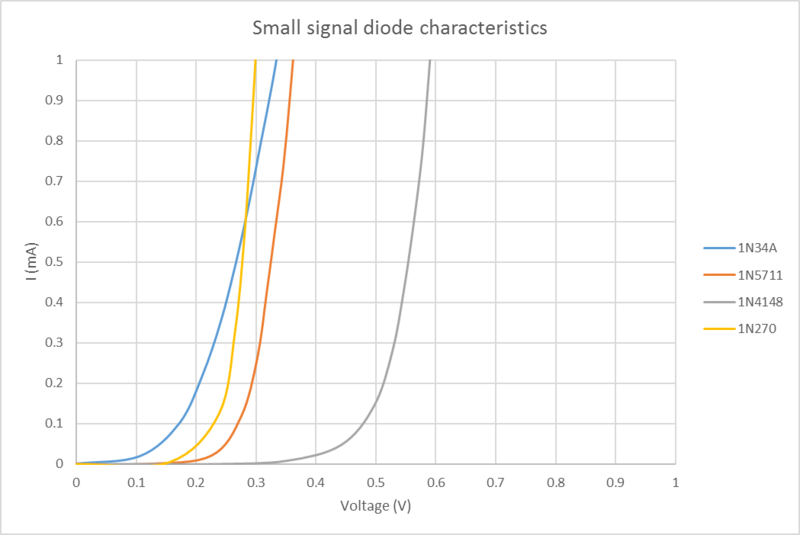 Above is a plot of the I,V characteristic of four common signal diodes at currents up to 1mA. It can be seen that at currents below 600µA, the forward voltage drop of the humble 1N34A germanium diode is lower than the others. The 1N270 is an alternative if you really need its higher breakdown voltage. Both of these diodes are reasonably easy to obtain, and cheap at that. Duffy, O. May 2011. Measuring common mode current. https://owenduffy.net/module/icm/index.htm (accessed 22/10/16).